Those of you who follow me on social media (@gunculture2pt0 on Twitter and Instagram, as well as my GC2.0 Facebook page) know I just spent a week in Las Vegas covering the National Shooting Sports Foundation’s annual SHOT Show. Some background for those unfamiliar. The National Shooting Sports Foundation (NSSF) is the trade association for the firearms, ammunition, hunting, and shooting sports industry. Many skeptics say the NRA represents the interests of “the gun industry”; in reality, that is the NSSF’s role. The SHOT in SHOT Show stands for Shooting, Hunting and Outdoor Trade. The first SHOT Show was held in 1979 in St. Louis, Missouri. The location used to move around the country but has been held in Las Vegas 21 times and has been the show’s home since 2010. I have been to the NRA annual meeting and expo twice, and SHOT Show makes it look small. SHOT is the largest event held at the Sands Expo and Convention Center, with 1,600 exhibitors in 2019 taking up 692,000 square feet of exhibit space – nearly 16 acres. According to information provided by the NSSR, the show has 12.5 miles of aisles to cover. I logged over 70,000 steps/35 miles on my Garmin watch the 5 days of the show (including walking 1.5 miles to and from my hotel every day). 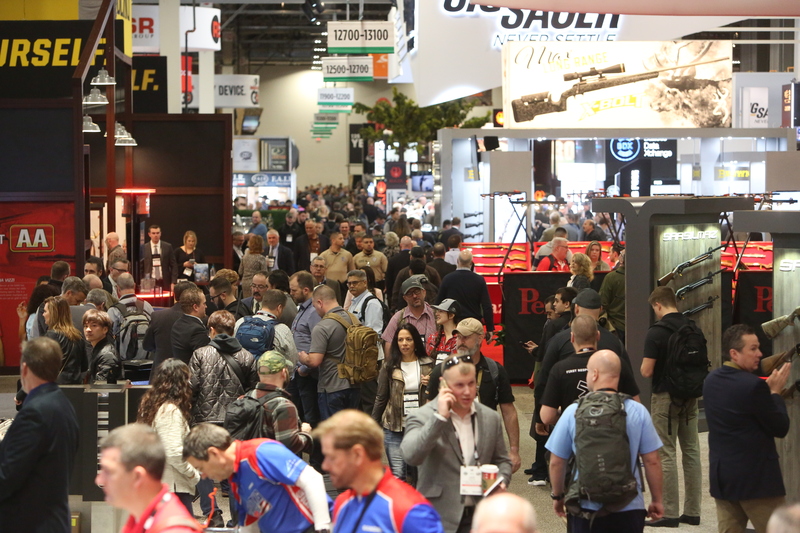 More than 60,000 people connected to the shooting, hunting, outdoors, law enforcement and military industries attended the SHOT Show in 2018. The law enforcement section of the SHOT Show is relatively new, beginning 16 years ago covering 7,000 square feet and growing to 170,000 square feet today. Also attending the meeting are more than 2,400 members of the outdoor media. 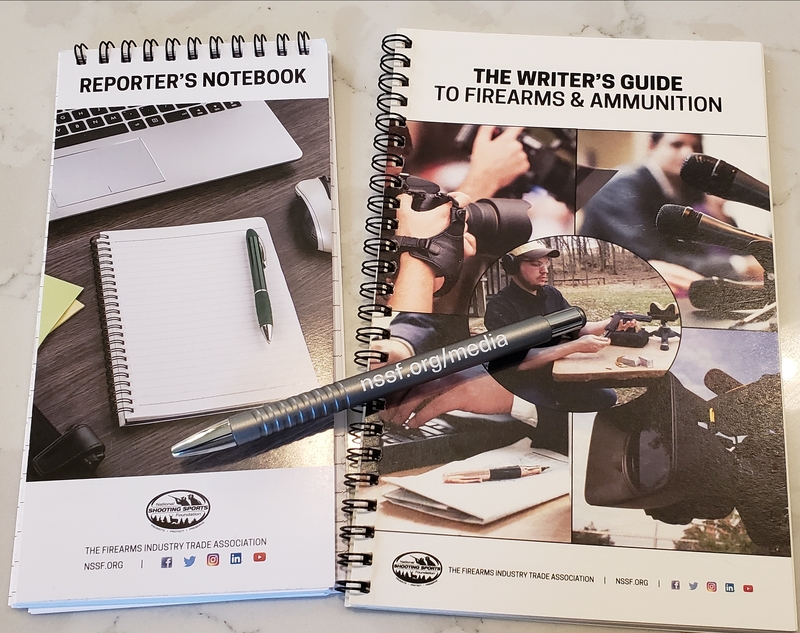 Although I do not consider myself part of the media – outdoor or secular – there is no category for admission to the SHOT Show for “scholars.” And to be sure my blog is a form of new media, so thankfully the National Shooting Sports Foundation recognizes bloggers as legitimate members of the media. They also provide useful resources for media to do their jobs. In the media room I saw major figures in the gun media like Mark Keefe, editor of The American Rifleman, Jim Shepherd, editor and publisher of The Shooting Wire, Tom Gresham of GunTalk, and even Jim Zumbo (Google it if you need to). I also recognized some familiar faces like Tamara Keel, handgun editor for Shooting Illustrated who was working the show for RECOIL, John Johnston of Ballistic Radio, Annette Evans working for both Shooting Illustrated and Concealed Carry Magazine online, and Nick Humphries and Jesse Gullikson of the Practically Tactical podcast, among many others. I even got to have a good, long breakfast conversation in the media room with Tactical Professor Claude Werner, who I have followed with interest for years but never met. Beginning with an account of Industry Day at the Range, I will post up a few of my observations from the 2019 NSSF SHOT Show in the coming days. Stay tuned. Tags: National Shooting Sports Foundation, SHOT Show. Bookmark the permalink.